Left Alone Frontman Elvis Cortez (center) and Bassist Ben Shaw sing on stage together during a show recently. Left Alone will be in Gallup on Oct. 12. 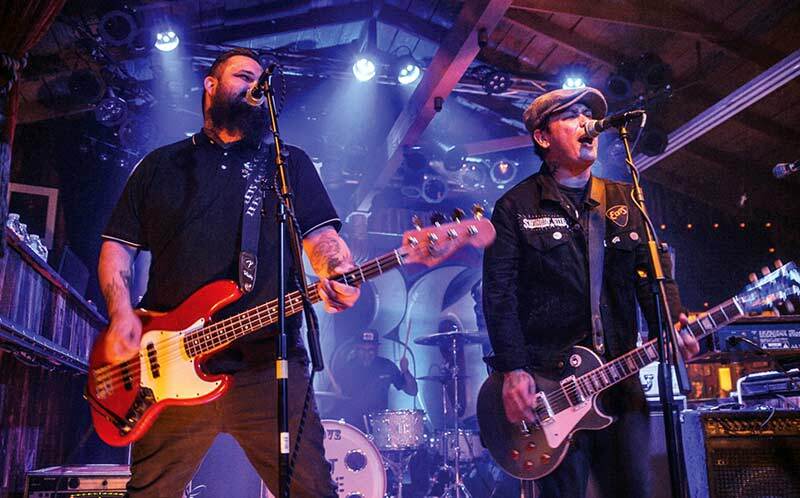 Punk rockers Left Alone are coming back to town on Oct. 12. Rancid Savage Productions is bringing back the 90s punk band as a tribute to how popular punk shows once were near the Navajo Nation. “I’ve always loved punk music,” said promoter Randall Hoskie. “That’s what I grew up on so I’ve always wanted to do punk shows for the kids here." Left Alone frontman Elvis Cortez said this stop is part of closing out their tour for their recent album “Harbor Area,” which was released on Sept. 23.